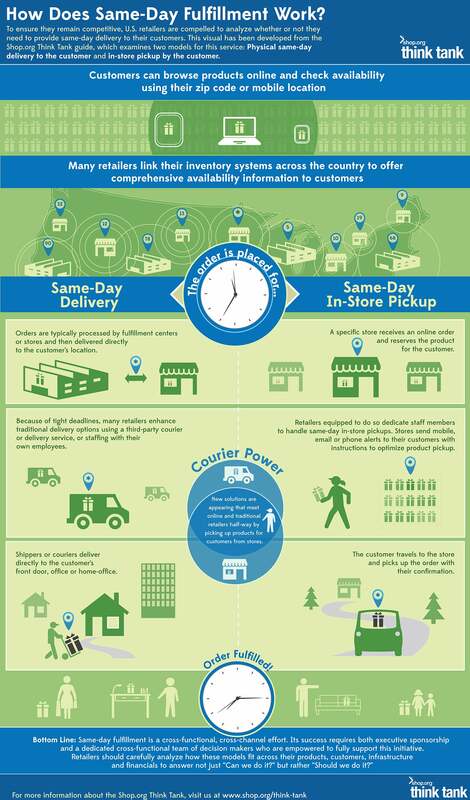 Same-day fulfillment option is something that customers have come to expect when ordering any range of goods. Of course, how an order reaches a customer involves careful strategic and tactical decision making, starting from the order to the in-store pickup or delivery. This infographic from Shop.org lays out the process in detail to help retailers visualize all that’s involved.